Whenever I have baby Railey with me when going out, I always try to make it a point to bring him in a place where I know he will enjoy. 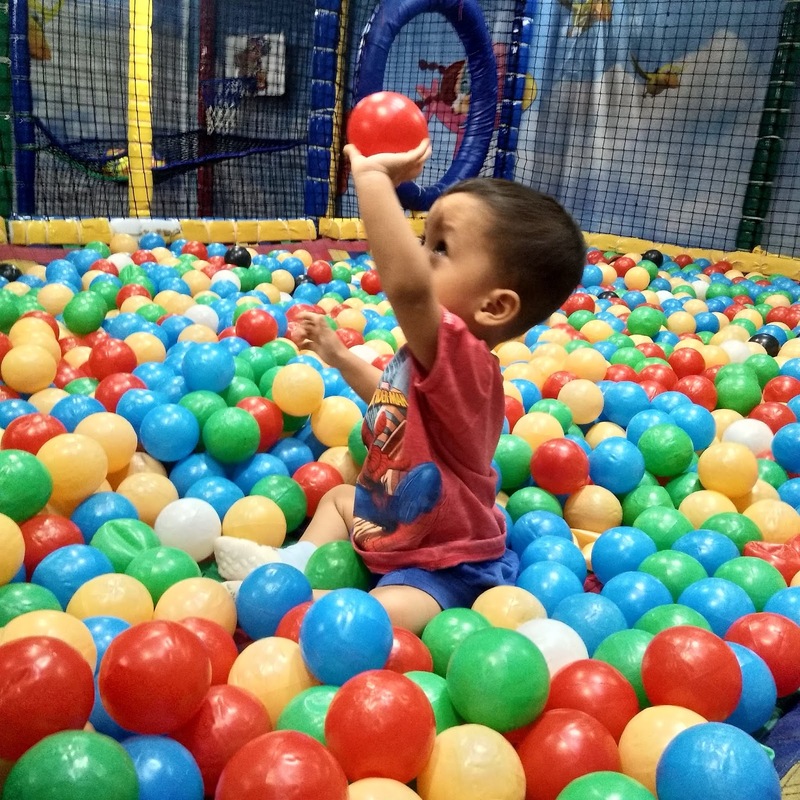 He loves playing in ball pits so play areas will be given when we are inside the mall. 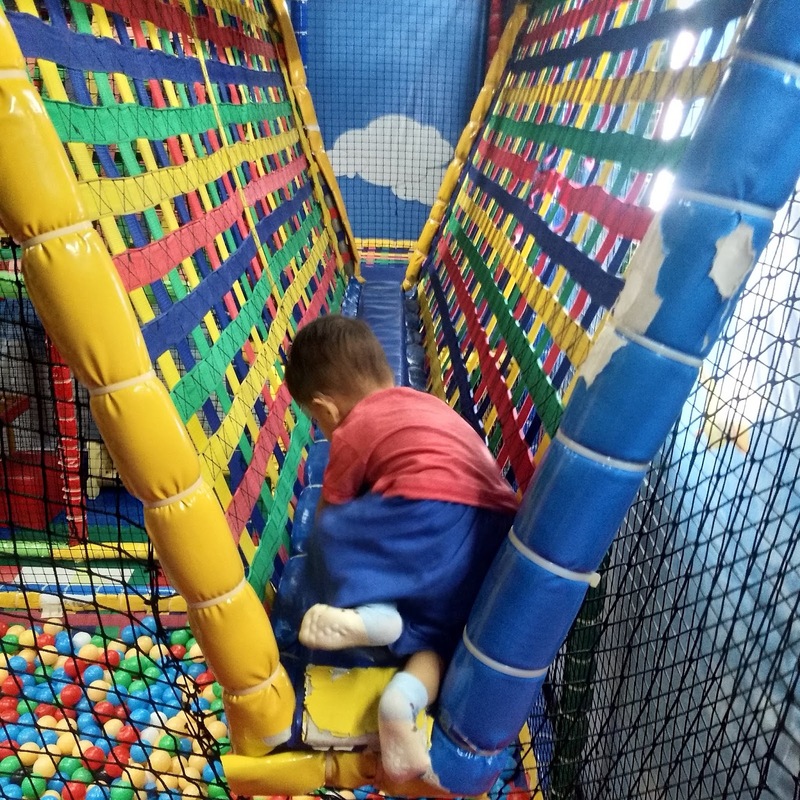 Glad I found this new spot for him at SM Pampanga. 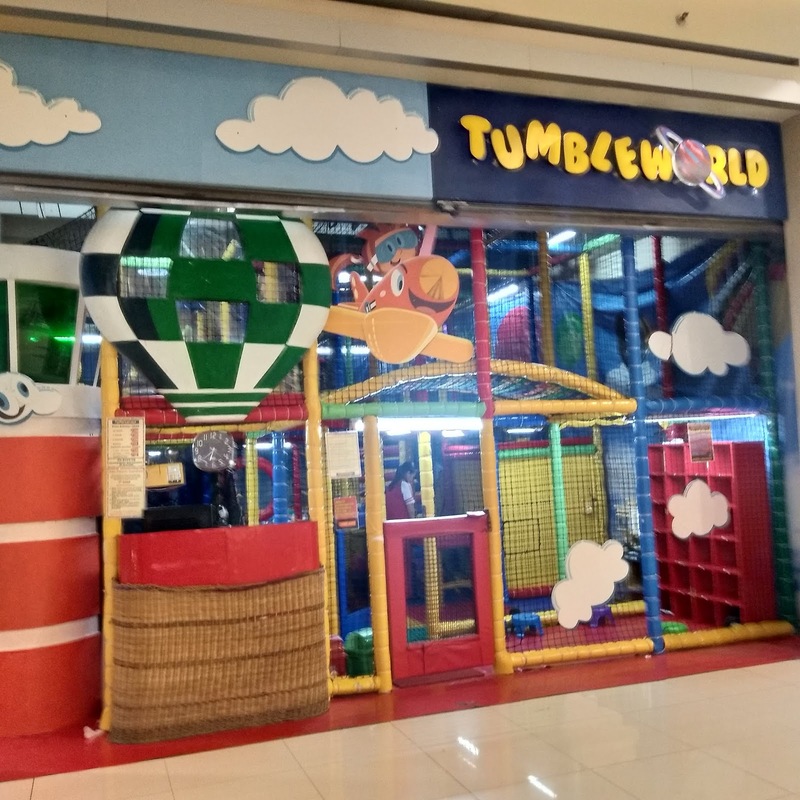 It is Tumble World located at the 3rd floor. 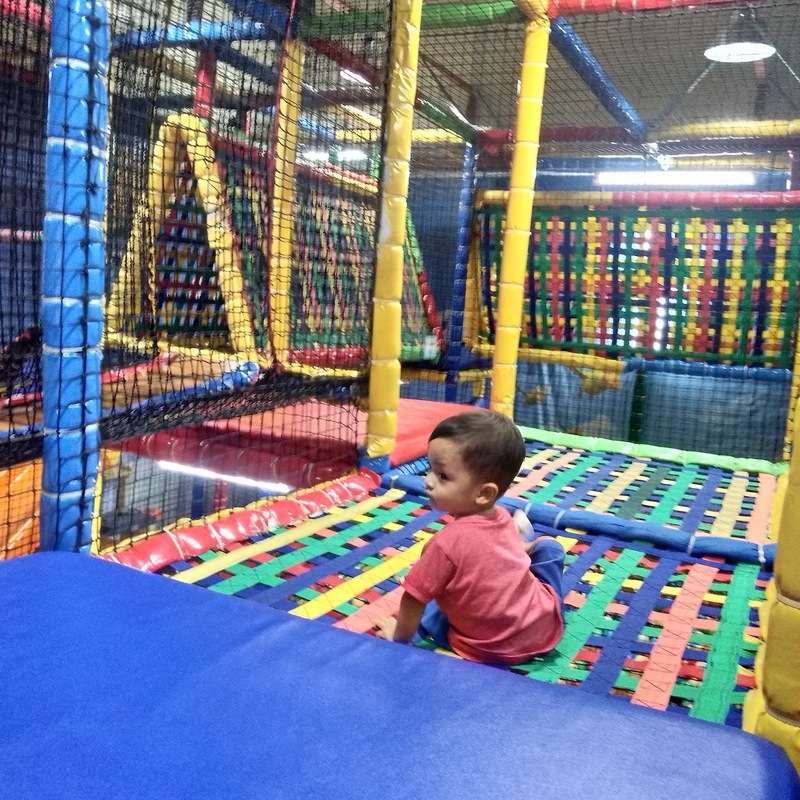 We were used to bring baby at Kidzoona whenever we go to the mall. 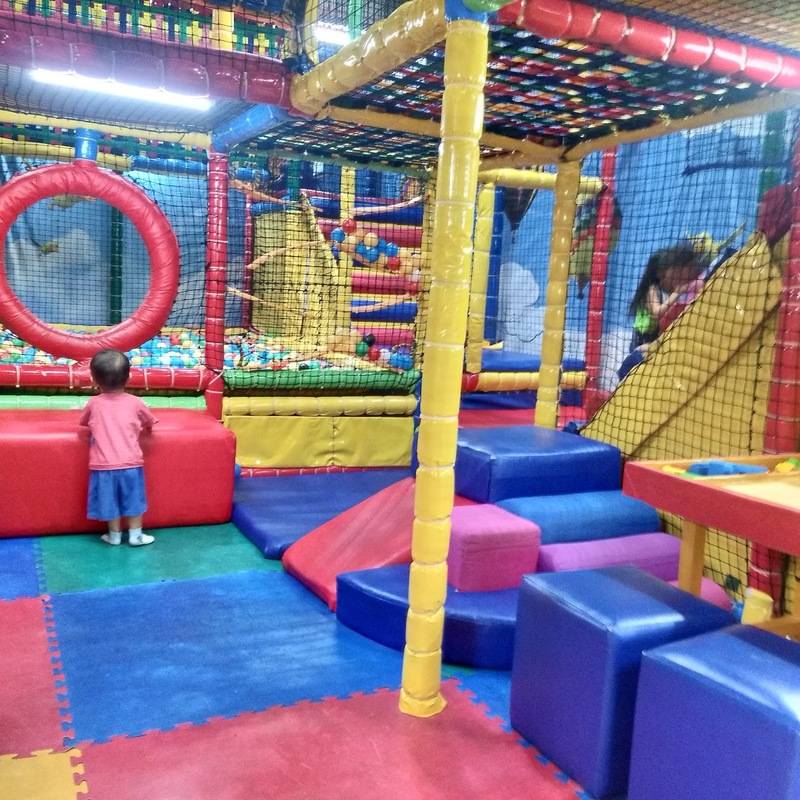 Kidzoona here in Pampanga is located at Robinsons Starmills. 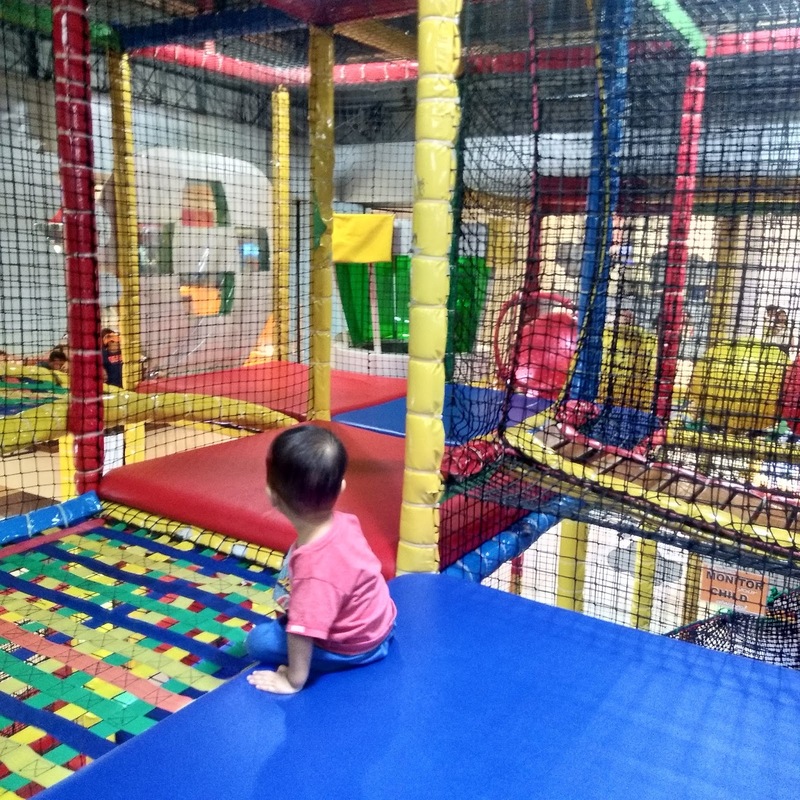 So it is like mandatory for us to enter Robinsons to treat baby for a play. 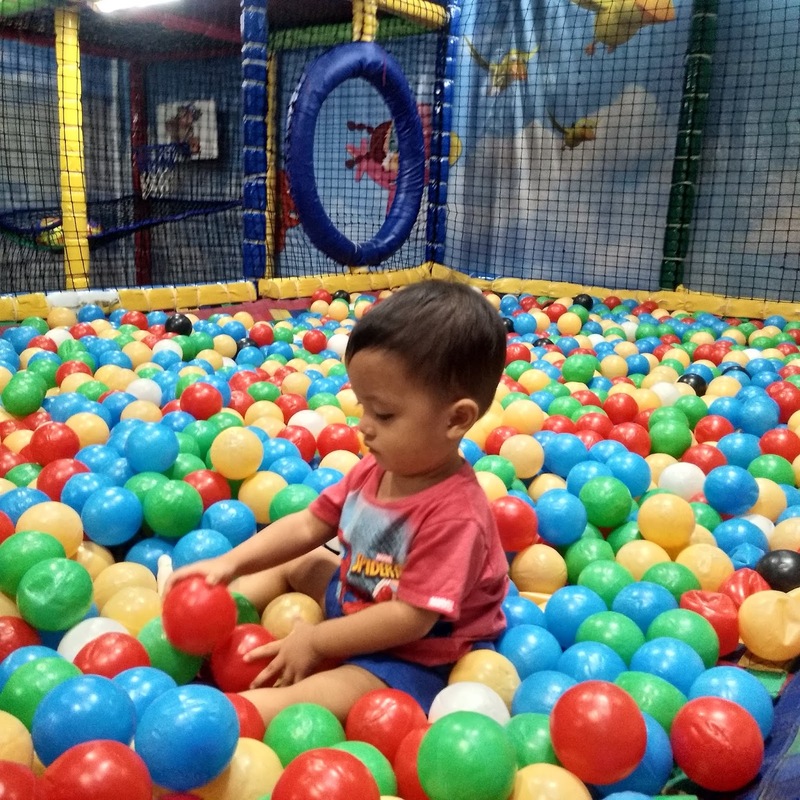 Little did I know that there were more of this type of play area at SM Pampanga. Me and baby were killing time around the mall one day and waiting for his dada to pick us up. 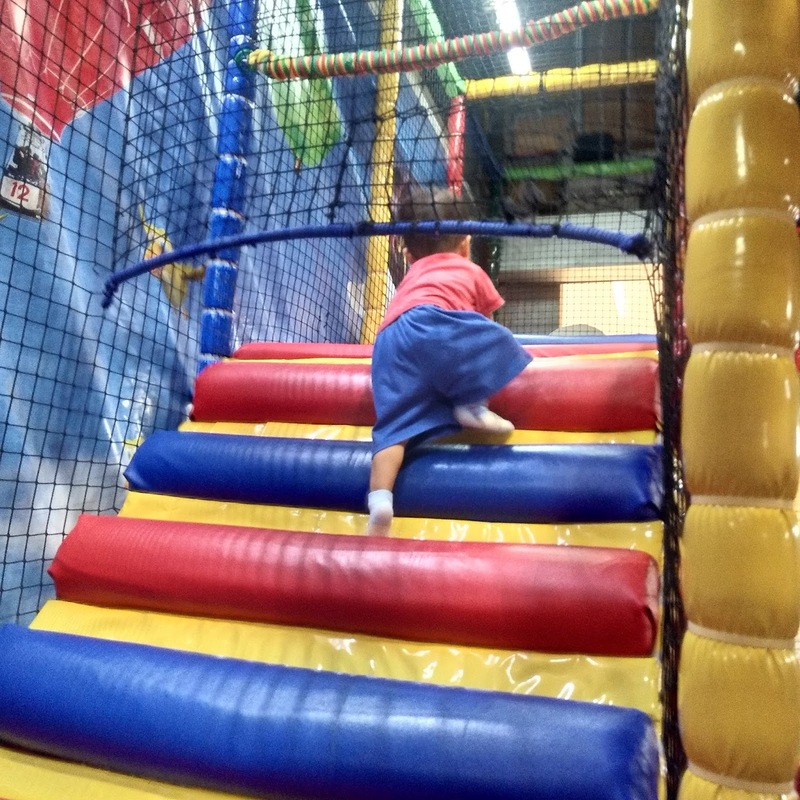 While waiting, I decided to go on the third floor to just let baby play at Quantum. 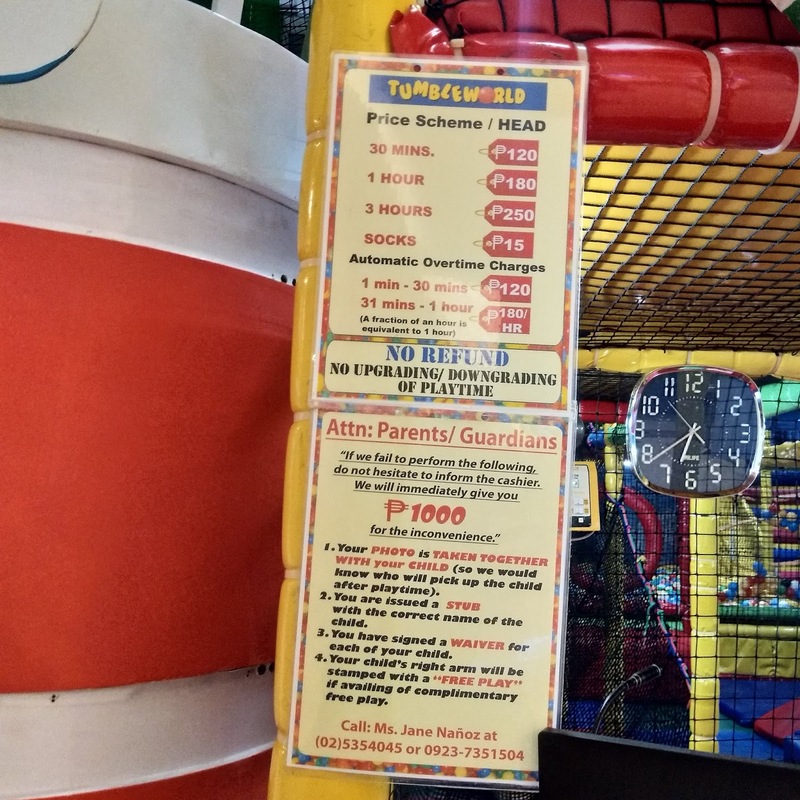 That's when I saw Tumble World and as we pass along, I read the play area's guidelines and regulations. 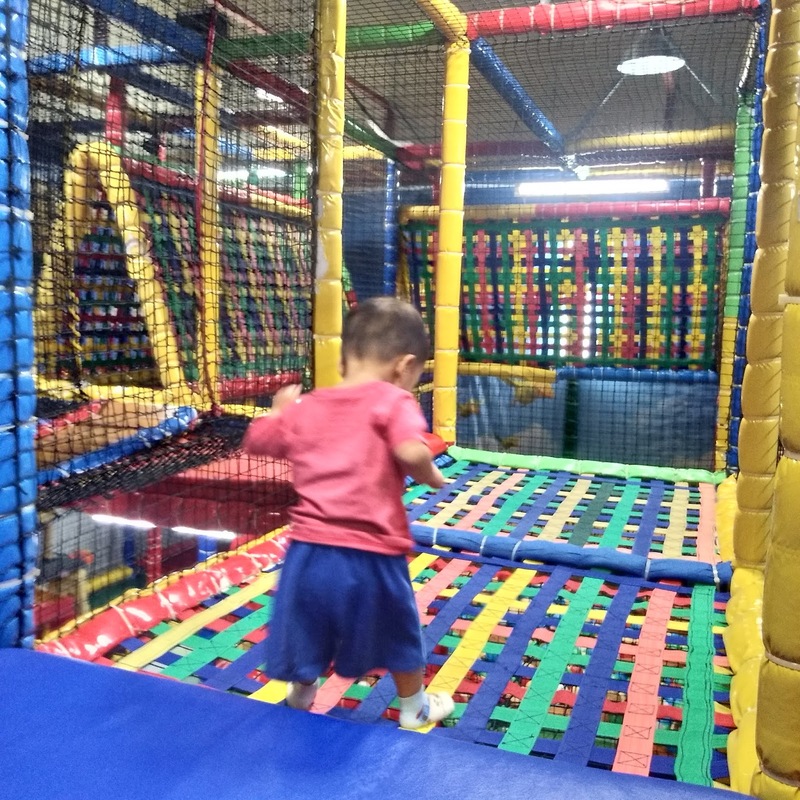 I noticed that it was way cheaper than Kidzoona but it is noticeable that there were very few customers. I tried spying on the place and noticed no bad things from the outside so I thought we might as well give it a try. 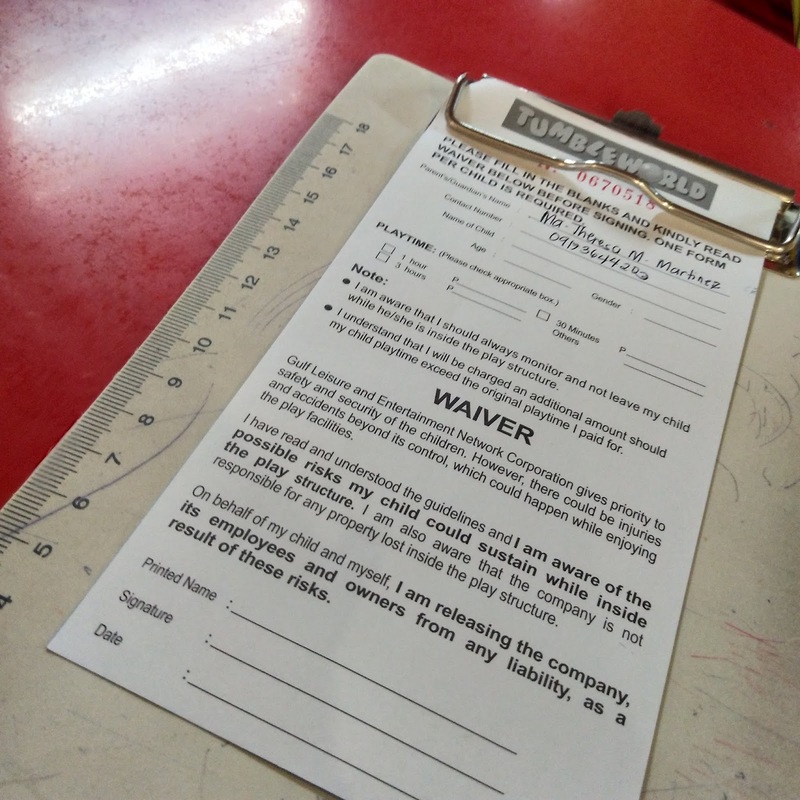 The staff let me fill up a form then she took a picture of baby and me together. It is for security for them to know who would be with the child once he goes out. I think that's a wonderful regulation because who knows, there might be some who will go inside and sneak a kid out without anyone noticing. 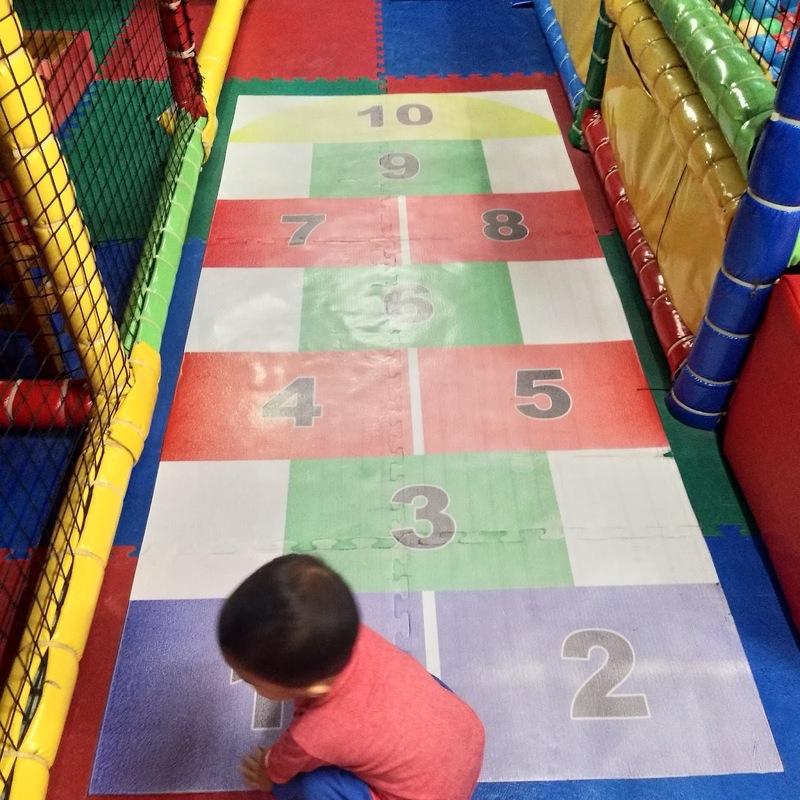 With all the news of kidnapping out there, this is really a great factor that every play area should consider. So great job to Tumble World with that! 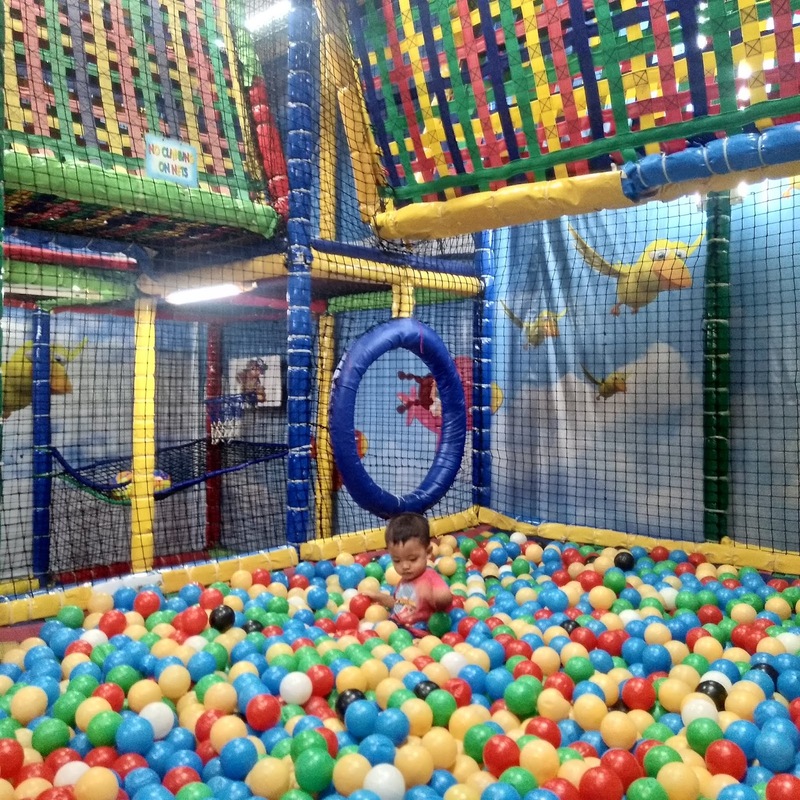 Obviously, Railey's fave was the ball pit. 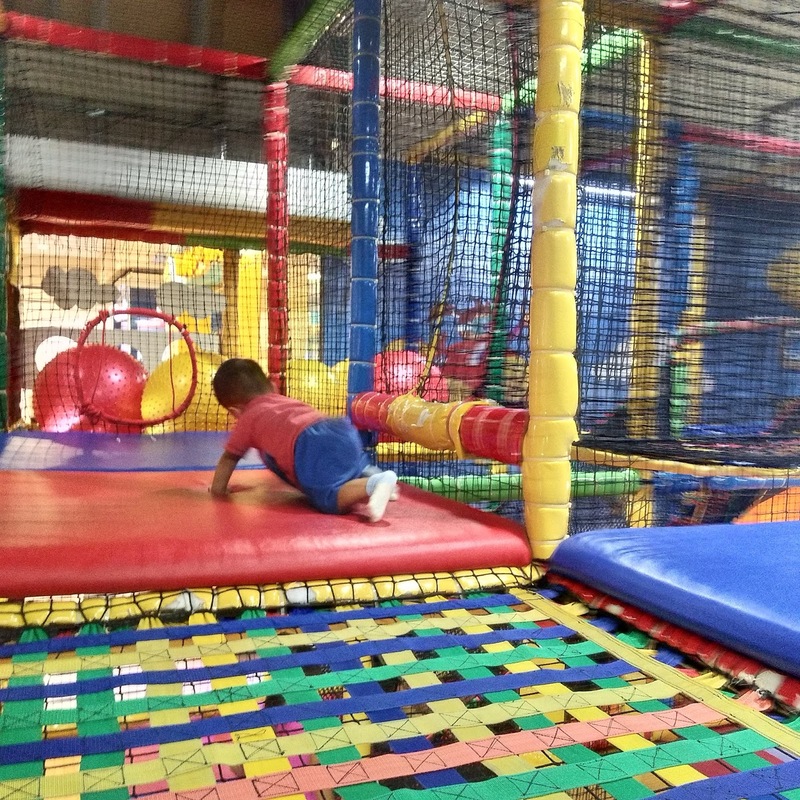 That's already a given to all the play areas he went to. 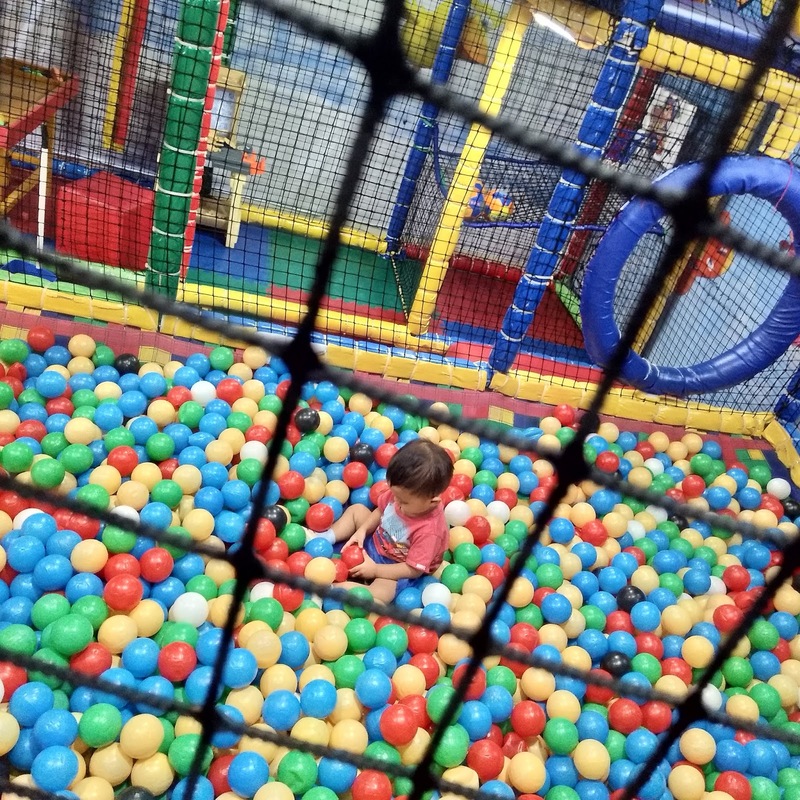 He always spent around 80% of our time at the ball pit. 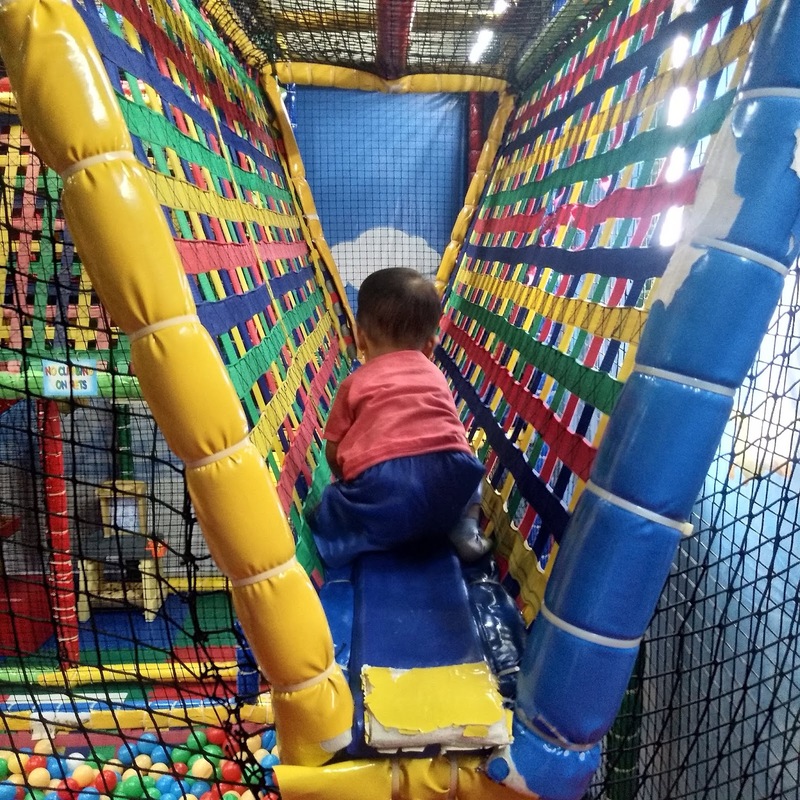 Good thing there were obstacle-like places that he tried to discover so he eventually went out of the ball pit. 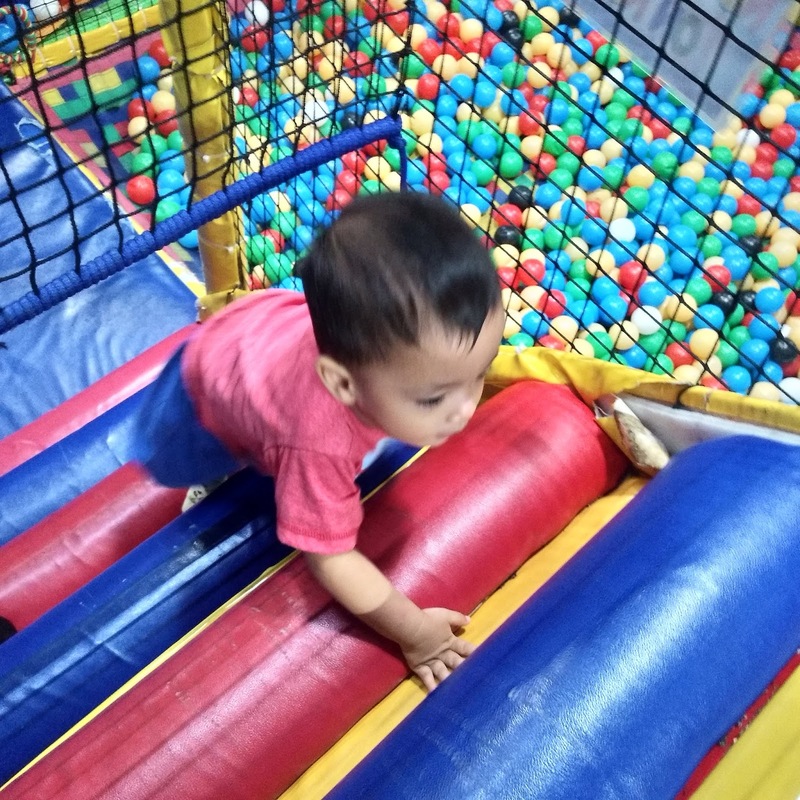 At first, I was following him wherever he goes and even above the play area (there's like an upper deck type inside) because he's just a year old and I'm very careful for he might fell down or might hurt himself. But as I go along with him, I discovered what's great with this place. Every nook and corner was safely covered with soft cushions. Like literally everywhere is neatly and safely covered! 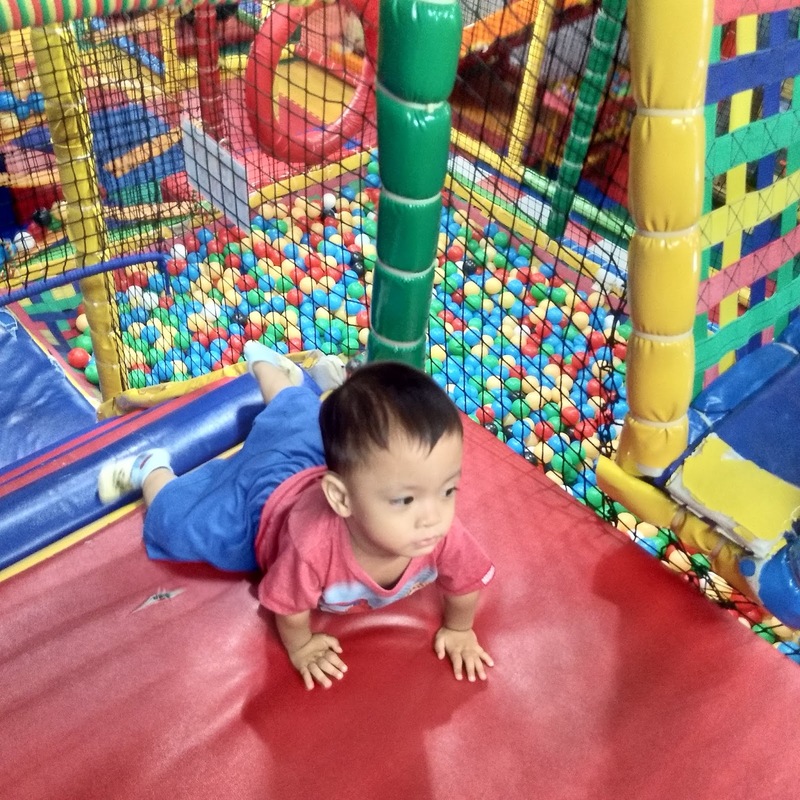 I tried capturing photos of baby wherever he went and just try to look at the place. 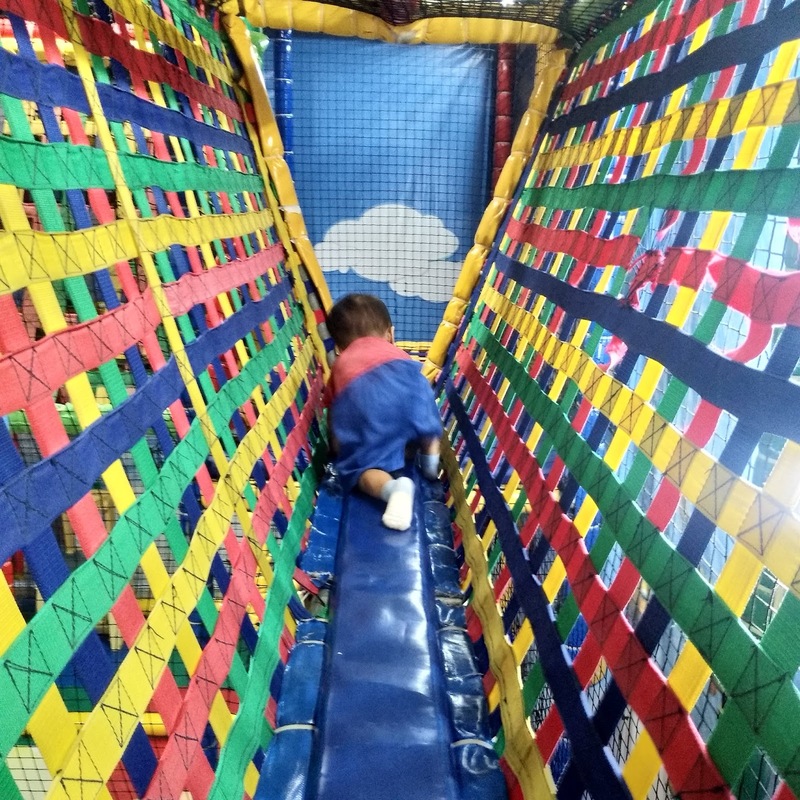 Every corner was safely covered with soft layers of cushioning for children. 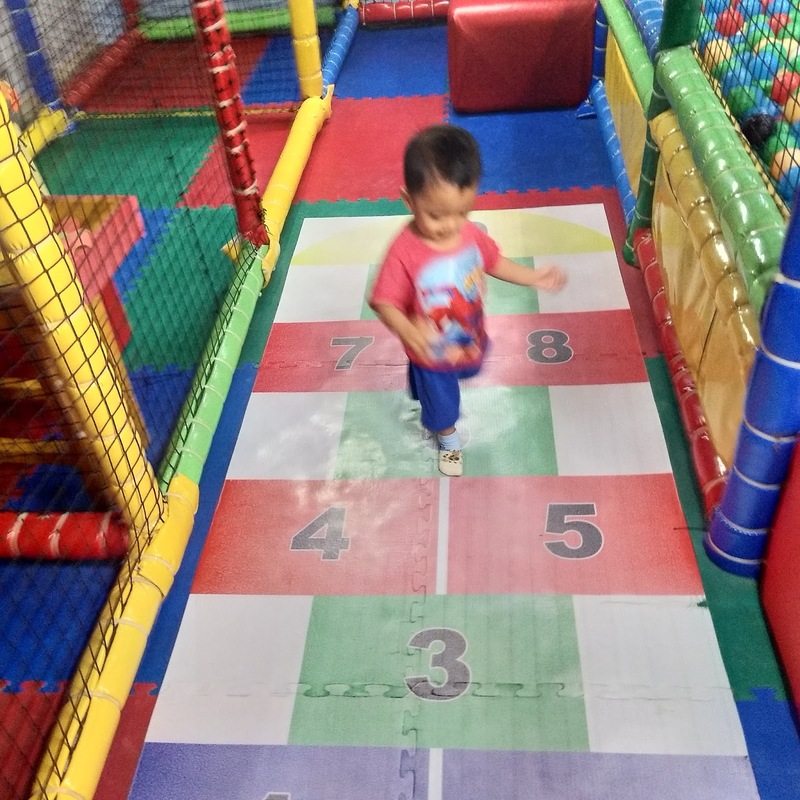 This is such a sweet and wondeful gesture that the play area did for children especially like Railey's age who still moves very gently. Great job Tumble World! 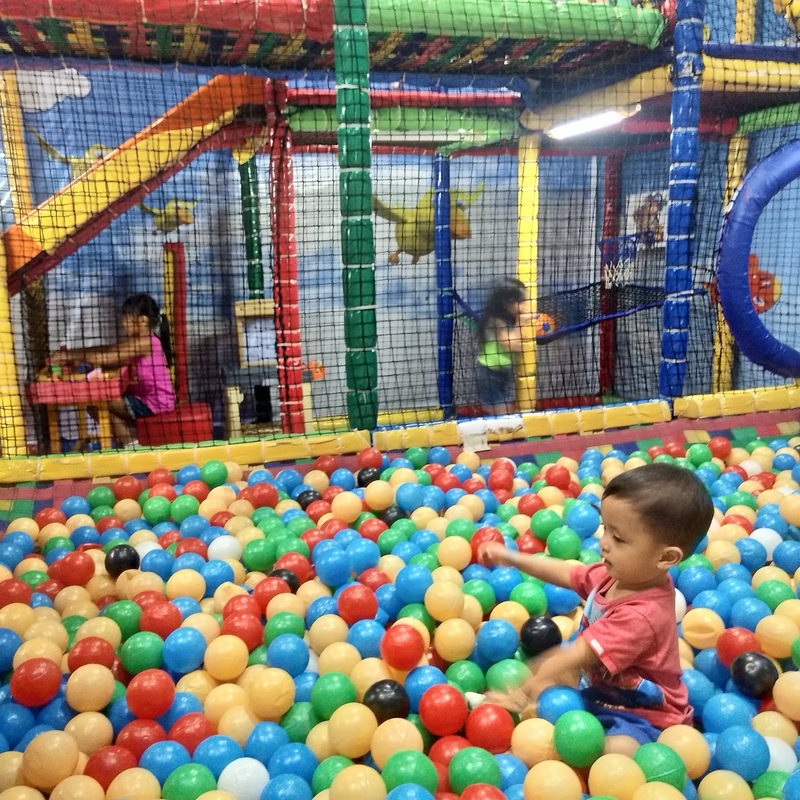 In general, our time there was great because of the very safe environment my child used to experience with his play there. 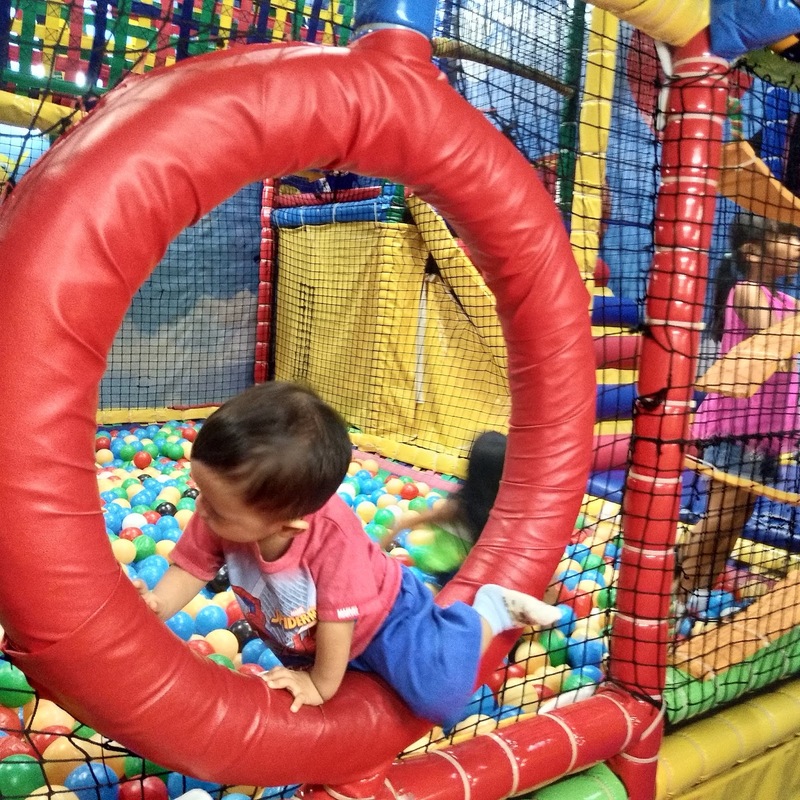 As a paranoid mom, I feel more secured when baby was playing. I think the place was underrated but it really gives great service overall. 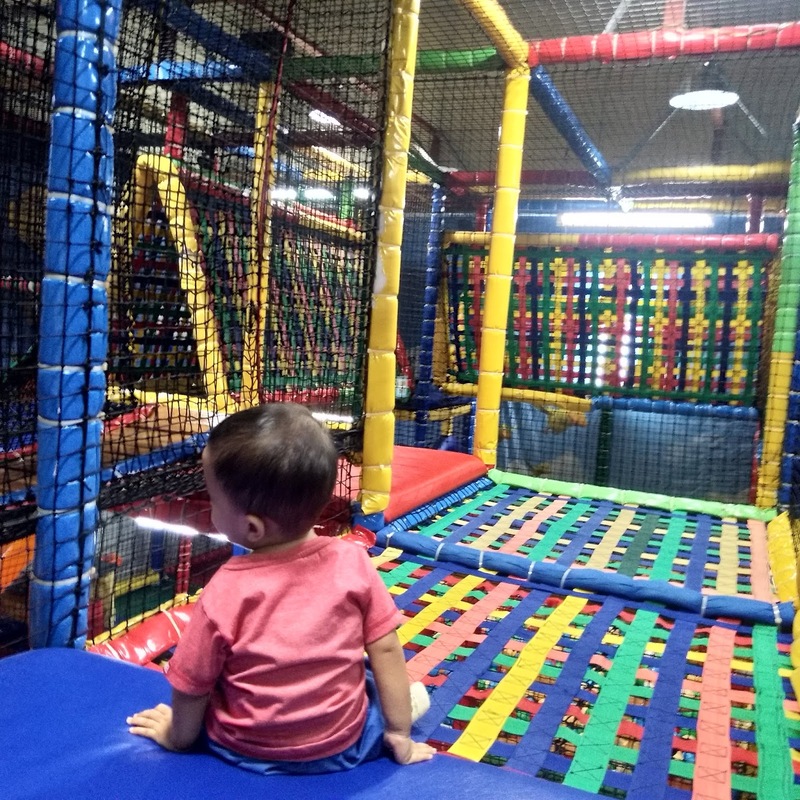 Hoping we have more play areas like Tumble World which put the safety of the kids first instead of just putting their sales in mind. 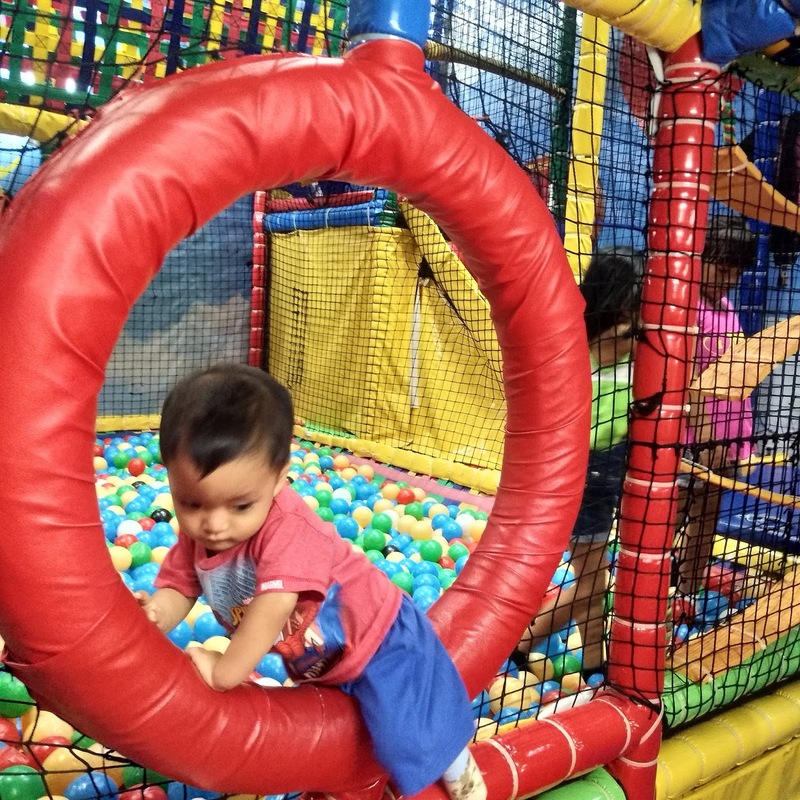 I actually had a few share of dangerous spots in other play areas that we experienced which I also shared on the blog and it's really alarming to moms like me. 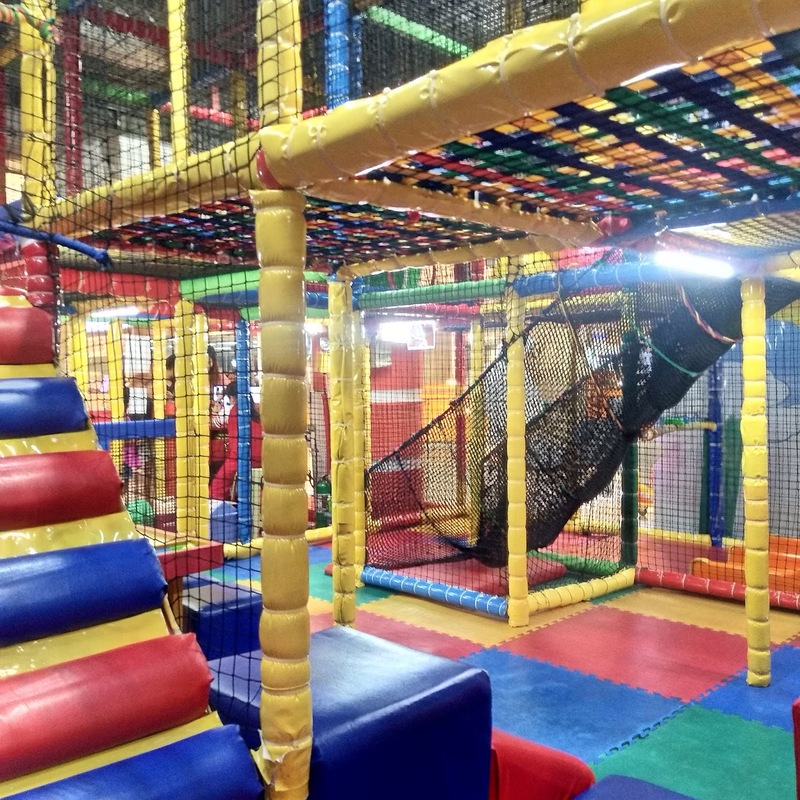 Just hoping that other play areas will consider the safety of children just like Tumble World. Visit them at SM Pampanga, 3rd floor and see for yourself what I'm talking about.